When you want one dealership that can take care of all your automotive needs, look no further than Volkswagen of Orange Park in Jacksonville, FL, also serving St. Augustine. Our knowledgeable sales professionals can match you to the new Volkswagen, Certified Pre-Owned Volkswagen, or used vehicle that suits your lifestyle. Then you can skip the hassle of getting your own auto financing by using our on-site finance experts who work tirelessly to secure a vehicle loan or lease payment that fits your budget. Once you own one of our vehicles, our certified technicians will work to keep you on the road for as long as possible with regular service tasks, vehicle repairs, and genuine Volkswagen parts. Our goal is to provide honest, transparent, and fair prices in every department, and we're always looking for ways to provide the excellent customer service and value you deserve. We offer money-saving specials on our new and pre-owned vehicles, as well as on service and parts. Our Hanania Hand Picked Used Car program provides incredible advantages, and our Nationwide Warranty program on new Volkswagen models from us offers twice the coverage from any other dealer in our area. 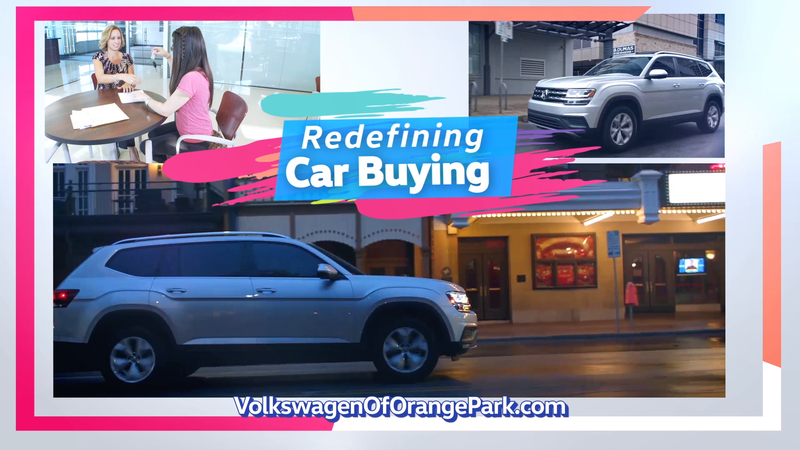 We at Volkswagen of Orange Park also realize that we would not have our current level of success without the support of our surrounding Jacksonville and St. Augustine communities. That's why you'll see us involved with many local charities and local organizations. We are a proud sponsor of the Jacksonville Jaguars, and we regularly donate and sponsor many causes that have a special place in our hearts. Our dealership is open seven days a week to serve you, but you can shop online 24/7! When you're ready to talk to us, call us at 877-853-9965 or visit us at 7220 Blanding Blvd., Jacksonville, FL 32244.